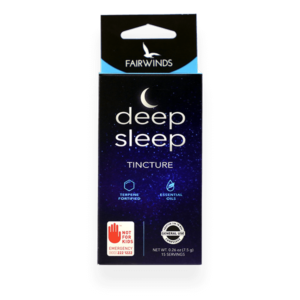 The Digestify Tincture features a proven cannabinoid profile, predominantly non-psychoactive THCa and CBD, all-natural cannabis terpenes and a unique blend of high purity Essential Oils. These Essential Oils provide hundreds of monoterpenes and sesquiterpenes. This selection of Essential Oils is well known and backed by science to support your Gut-Brain connection. 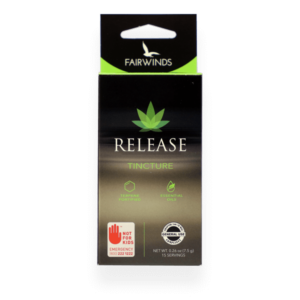 All combined with this powerful blend of Cannabis Oil and a special selection of cannabis terpenes, unleashes a non-psychoactive botanical entourage experience you will not find in any other product. – Gently remove the dropper from the glass container and measure out to .6ml by using the graduated lines. This will measure out one single serving. 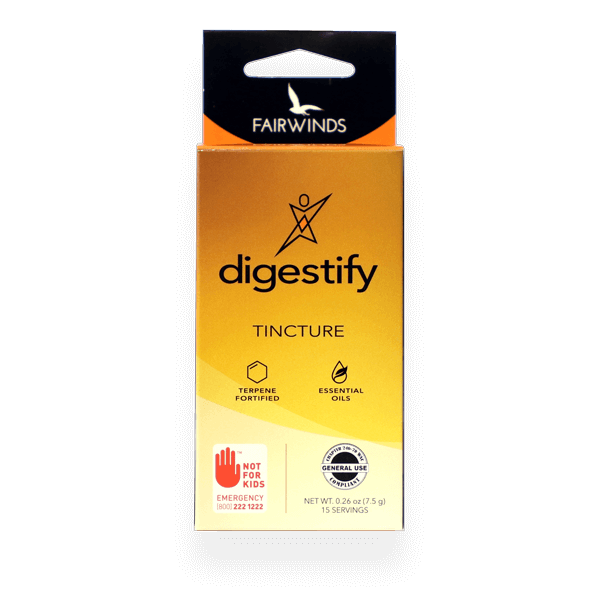 – Unlike other tinctures, Fairwinds Digestify is designed to be swallowed rather than sublingually absorbed. This will allow the oils to effectively target the area of concern. – Full effects of the product can be expected within 5-25 minutes after the initial serving is administered. – Continue to administer more tincture as necessary to meet needs for personal circumstance.